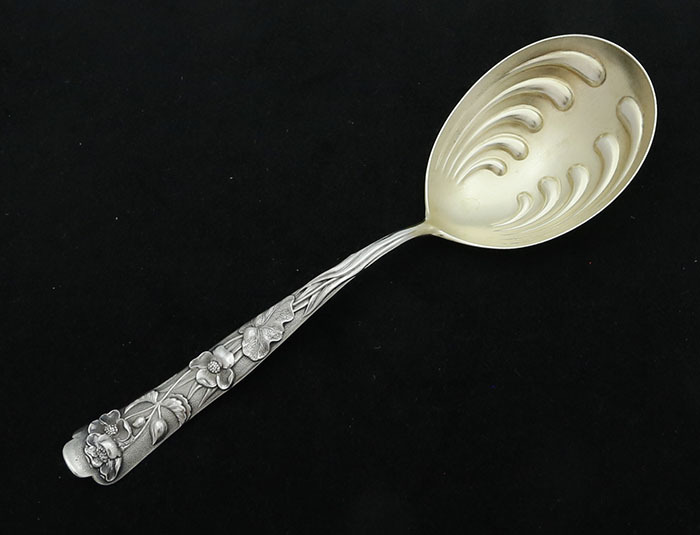 A large Shiebler Flora sterling silver serving spoon measuring 9" with a weight of 2.6 toz. 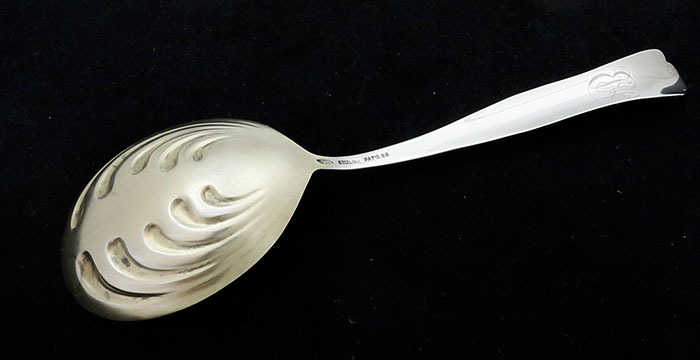 Gold washed bowl with embossed ripples. 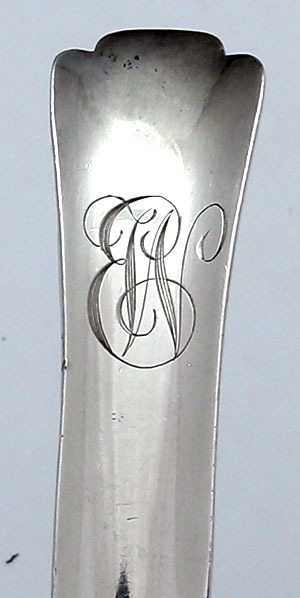 Monogrammed on the back of the handle.